Google Glass: half empty or half full? Lots of discussion of Google Glass recently. Overall, I think it’s way too early to try to prognosticate one way or the other whether this new technology is the next iPhone, or it’s more akin to something like the Segway. I certainly wouldn’t outright dismiss it as stupid or silly – that’s been done before too many times with technologies that ended up being transformational, whether it’s Twitter or the internet and computers themselves. To a lot of people who aren’t technophiles, the idea of walking around with computerized eyeglasses is silly. 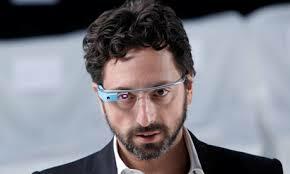 In the case of Google Glass, the initial aesthetics exacerbate the problem. Let’s be honest, they look a little ridiculous. At this point, you do have to be a huge dork to walk around with these things. Having said that, let’s not be so quick to dismiss this product because of it’s aesthetics. 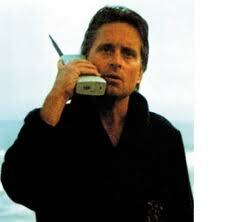 Anyone remember what early cell phones looked like? time, Glass’ component parts will get smaller and there’s potential for Google to partner with a design house to make these things look more fashionable. Another clear barrier to adoption of Glass right now is price. Taking the cell phone analogy further, the first cell phones were insanely expensive. Any new technology, especially when it involves hardware, starts out extremely expensive and follows a natural cost reduction curve over time. PCs, storage, cloud computing, solar panels, digital cameras, etc. are all examples. Glass will of course follow this curve. There will come a point in time when price isn’t a factor in people’s purchase decision. If the aesthetics and price are fixed, I really think consumer adoption will come down to the applications that are built for Glass and their usability/utility. Right now, cost and everything else aside, for most people there isn’t a compelling reason to buy this device. This could change. Third party developers are starting to build for the Glass platform and there will no doubt be some interesting applications that come out of this. Look at what developers have done with smartphone applications, and then add in the visual eyeglass element and there’s a lot to play with here. It’s too early to tell whether there will be broad consumer adoption of Glass or not. Having said that, I think there’s a much clearer argument for Glass to get business/workplace adoption. In areas like medicine, law enforcement, warehouse management, etc. there are countless uses you could see for Glass. Google at its heart though is a consumer technology company and this is meant to be a consumer device. I don’t know how far they will continue to push Glass if it ends up not resonating with consumers. Time will tell. ← Where is the iconic Indian internet company?